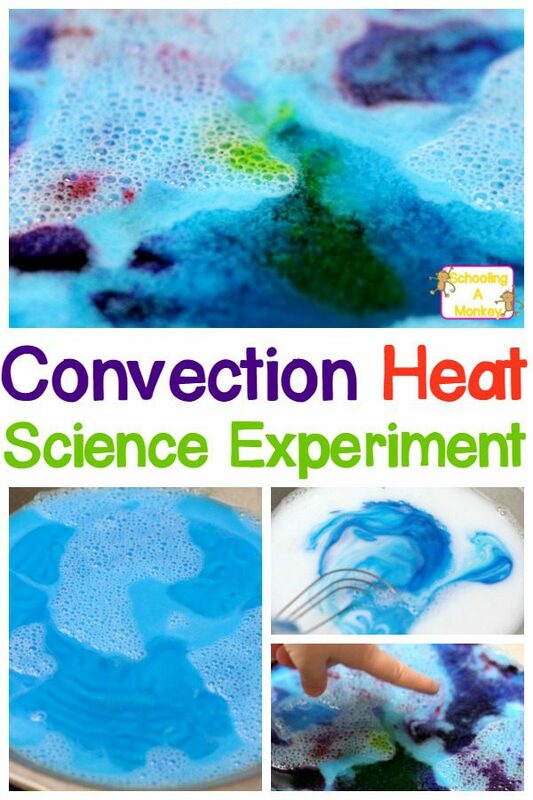 Learn About Convection Heat with Heat Experiments! 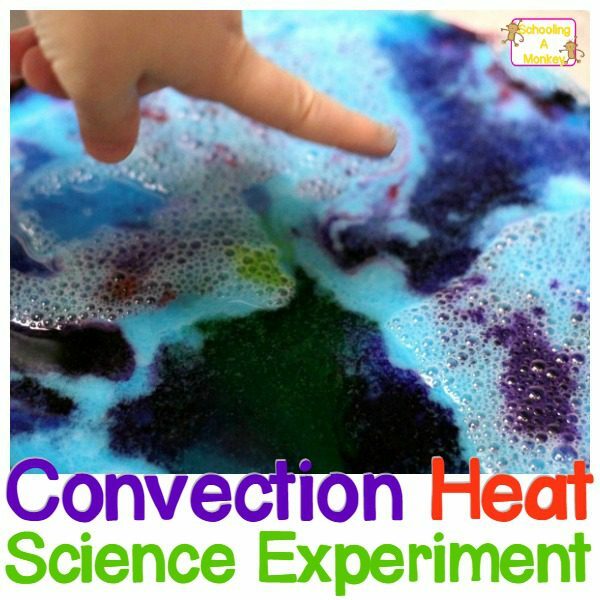 Use these simple heat experiments to show kids how convection heat works and why heat rises right in front of their eyes. Fascinating science experiments for kids! I’ve wanted to try heat experiments with my kids for quite some time now. It looked so magical and other-wordly to see all those pearly colors swirling around with the heat. We learned some valuable lessons about exactly where the heat from our stove is coming from, too, which is probably why it cooks food so unevenly! If you conduct this experiment with a large group, I recommend using a hot plate. First, because it is easier to haul around, and secondly, it produces a more even, low heat, which is better for seeing swirls. Our mixture eventually got to hot and it didn’t look as cool when the dye moved from place to place. Scroll to the bottom of the post for ideas on creating a winter thematic unit. Related: STEM Activities for Kids! When you heat a fluid, its density is reduced and volume is expanded. At first, the soap and the water is evenly disributed in the pan, but when it heats up, the liquids at the bottom get warm first. This causes them to become less dense and rise to the top. The cool liquid is pushed to the bottom of the pan, where it in turn is heated and pushed to the top. 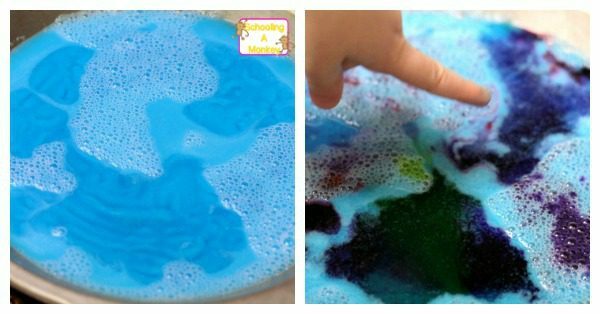 The pearly soap and food coloring make this easy to see. 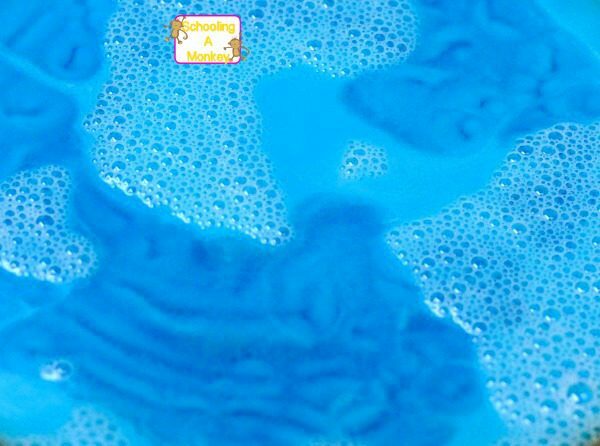 First, mix your soap and water in a 2 to 1 ratio with twice as much water as soap. You will want to just cover the bottom of the pan (at least, ours worked better with a shallow amount of water). Try not to make extra bubbles. 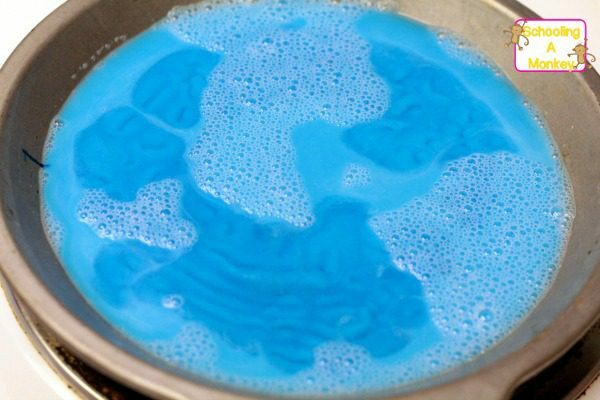 You can leave the mixture its original color, or add dye to the entire pan. Bo was excited to add the food coloring, which is why we dyed our base soap. Turn the heat on low and wait. 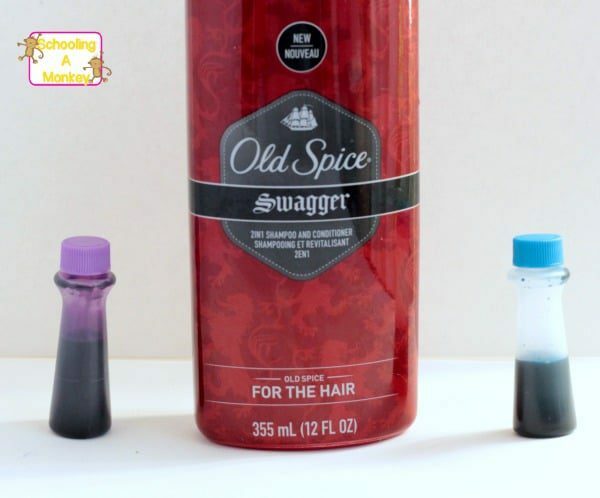 You will see the liquid starting to rise by the changes in the color of the soapy water. Once it starts to turn over, it’s ready to add more dye. 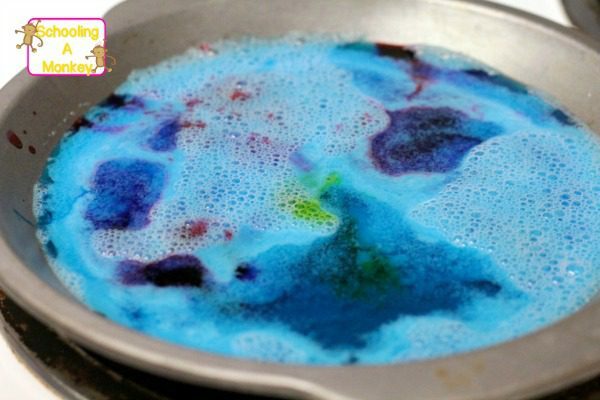 Drop a drop or two of food coloring in differet areas of the pan. Watch as it is slowly rolled into the other colors.